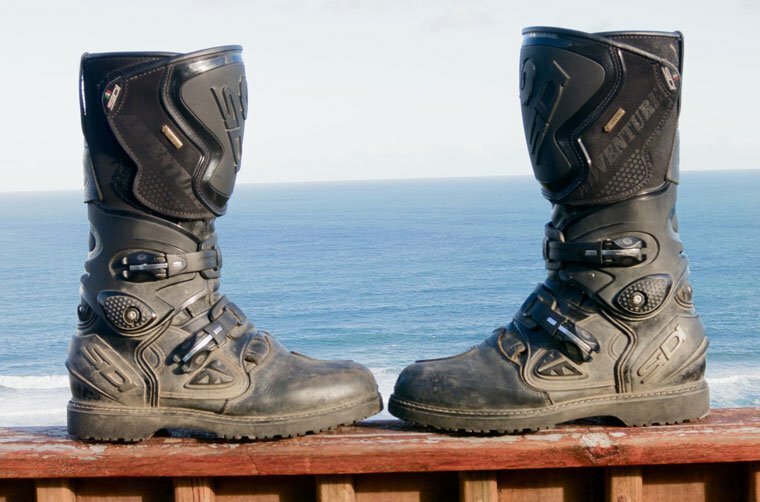 Sidi Roarr boots: These sturdy, subtle boots are equipped with armour and comfort to keep you protected and comfortable on the road while looking like you're ready for a race with the aggressive styling. Protection: The upper is made of Technomicro fibre and lined with air Teflon mesh for superior impact protection and abrasion resistance. A fixed shin plate works together with a replaceable slider to navigate damaging kinetic energy around the boot. The anti-twist ankle supports your ankles and the heel cup improves the impact absorption. The boot also comes with removable arch support for those who want it. Comfortable: A techno 3 mechanism is utilised in this boot for an improved leg fit. The zipper elastic panel makes getting the boot on and off easier. An air ventilation system helps stop the boots from getting too warm.